We are ever expanding our portfolio of products and services to better provide for our Customers. The more that our Customers work with us, the more types of things they ask us to do. Let us take care of your project whether it be a simple design or a full mine site implementation. We’ll compliment what you have and fill in what you don’t. Creating, Following and Enforcing a Visual Standard is crucial for all visual mediums on a work site. 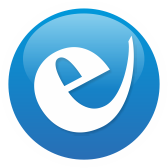 This ensures that anyone that is on the site can quickly identify critical information and act accordingly. Devco has deep experience in creating standards, following (and enhancing) existing Customer standards, and making sure that they are followed. 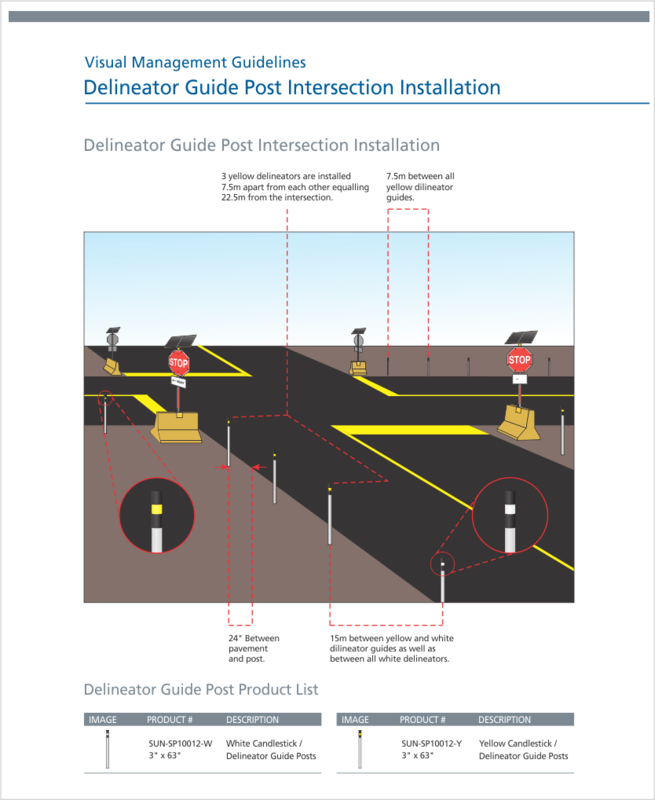 Enforcement is an often overlooked item when it comes to Visual Standards as even though guidelines are given to employees and companies that produce these materials, they are frequently modified or ignored. When they are ignored, the best case is a sign that may just look different and confuse someone. The worst case is that a piece of critical safety information is not quickly understood and someone is now in a life threatening situation. As well, Devco has experience enforcing already in place Visual Standards for our Customers by monitoring visual product deliverables made by other vendors and internal Customer employees. Another key word that we use here at Devco is Branding. Branding has always been a core competency of ours right from the beginning. Whether that be a logo or advertising we knew how to make something look good and get noticed. Traditionally, Branding is used to simply give a Company a corporate face; which we did, and did well. Then we were asked to Brand a Safety Program. Currently, companies that design Safety Programs use fairly generic graphic designs to portray their message. Just like with a simple cliché ad, the message is often ignored and the end result is not achieved (reduction in incidents). We learned how to adapt, change and in some cases completely upend the standard way information is presented in Safety. Another key lesson we learned was not just how the information looked, but how it was implemented in the field. 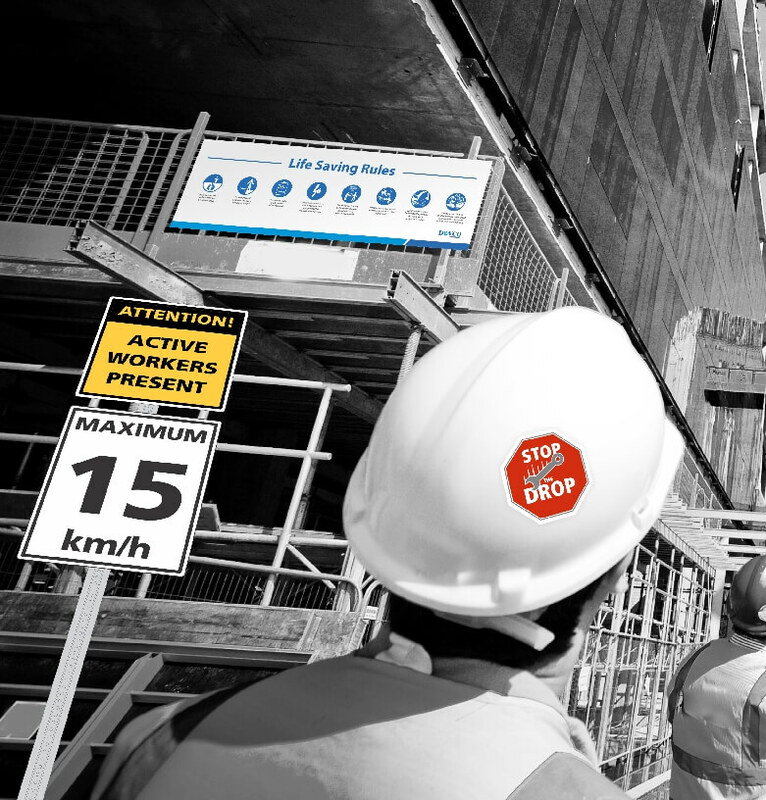 The same methodology we developed for Safety Branding is applicable for Branding on a work site. 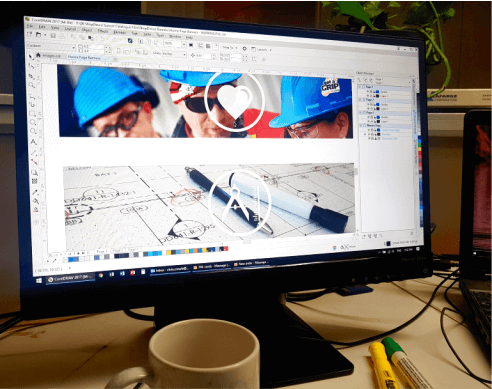 Work Site Branding is more than designing a sign. It is presenting information in a manner that is consistent, quickly understood and designed for the purpose. 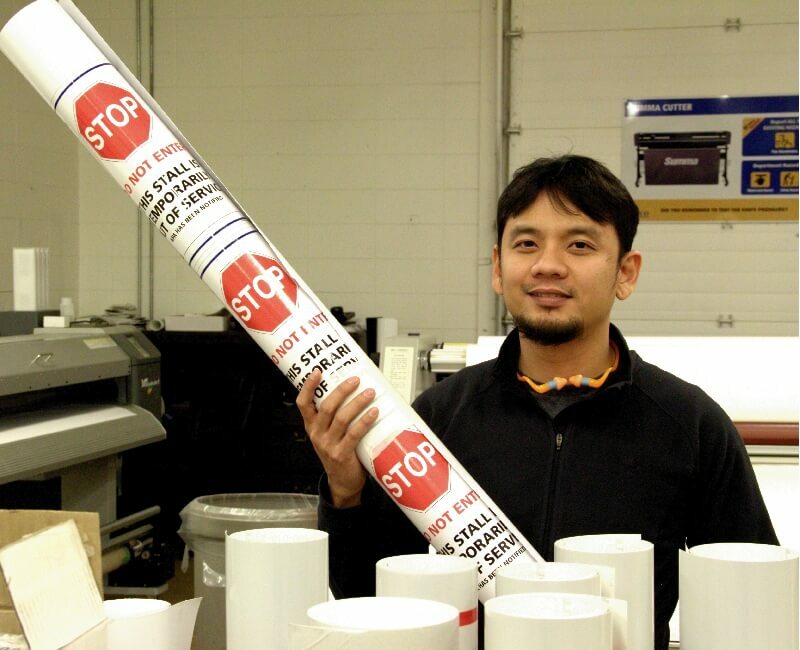 Learn more about how we approach Safety Branding here. Our Customers rely on us to make their job sites consistently well designed, which in turn increases employee safety and productivity. Design is present in everything that we do, as you can see throughout this website and our online catalog shopdevco.com. We focus on visually communicating as clearly as possible in a variety of products and applications. Got an idea? Let us help you make that design possible, and beautiful! Tell us about your project and let our creativity go to work. A common theme throughout all of Devco’s services is maximizing a customer’s investment. When planning a large construction project, planning is performed to ensure that a contractor knows what to build, the particular trades need to be scheduled and when it all needs to be done. If any of this is not planned correctly, cost overruns or a substandard job is done. Onsite signage and road marking is no different. When you are unfamiliar with the type of work we do it can be quite easy to order too much product, the wrong type of product or install it in the wrong areas. When you are onsite, you need to know critical safety and navigation information as a poor decision could cost money… or worse. We know onsite working conditions and safety requirements. We know how to place and install components for maximum visibilty and effectiveness. We help you make your site work. Part of being Vertically Integrated is producing product that meets the demands of our Customers. 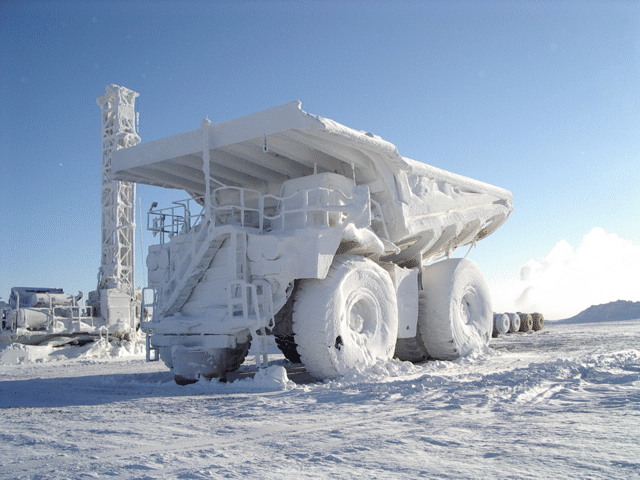 We know how our Customers work and their extreme physical working conditions. This requires products designed and built to withstand the elements. We strive to maximize our Customer’s investment by producing a high quality product that does not require frequent replacement, if at all. We know the proper materials to use to get the best value for its intended purpose while retaining durability. If a sign is damaged, it’s not serving it’s intended purpose, leading to problems onsite. 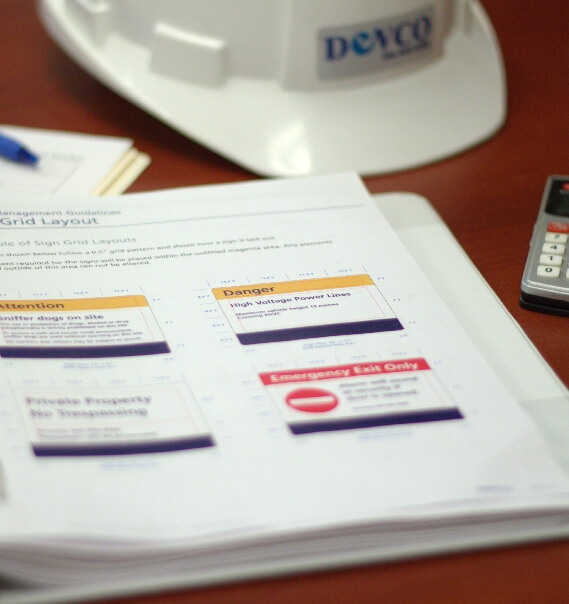 Trust Devco to make sure that your work site is set up for success. Just about any sign company has the ability to get a sign installed on your building, in your office or on a billboard. This is pretty standard and expected for a sign company to offer. 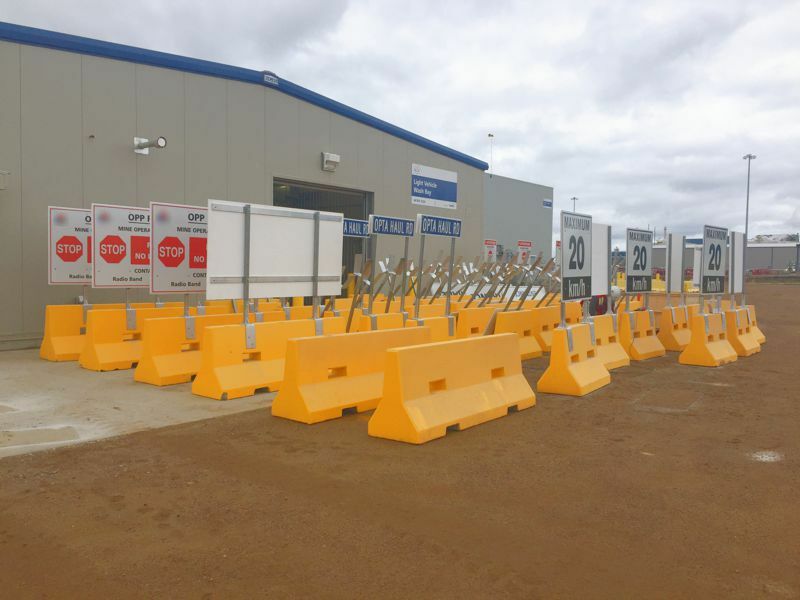 Our onsite installation crews are trained in industry and customer specific onsite safety requirements, which are much more detailed than with retail customers. They understand how to work on a remote work site, are used to cold, snow, rain, and wind. They know how to operate equipment to do work at heights, or signage that requires ground disturbance activities. And just as importantly, they know how to properly manage and schedule amongst dozens of concurrent onsite installation requirements. In addition to the above, our crew has experience line marking, concrete barrier placing, guardrail installation, painting for roadways, warehouse floors, and much more. We know how to outfit your entire job site. A job site, facility or mine is much different than in an urban setting. Environmental factors and physical locations that can encompass 100s of square kilometers require a different approach to managing information. Signage is no different. Large job sites require a lot of signage to initially set up and over time to replace. This is a serious investment for our Customers that typically is not treated as such. 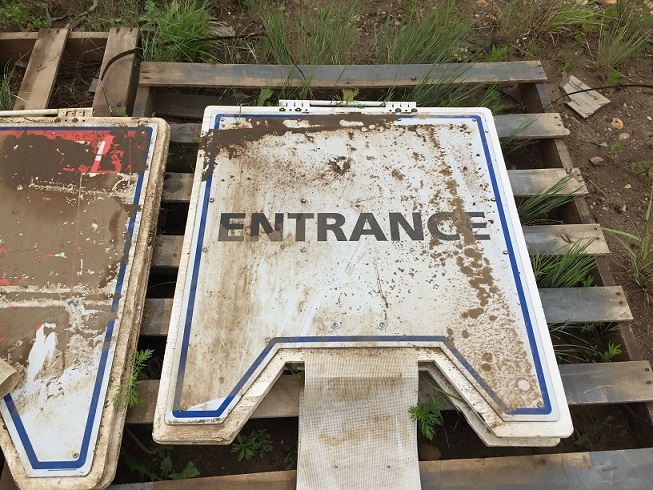 In the severe environments that we are used to working in, signage will get covered by mud and snow, hit by vehicles or equipment and even defaced. This poses a number of issues onsite. If signage that contains critical safety information or has a solar power component is dirty or broken, the chances of an onsite incident rises dramatically. Customers typically do not have dedicated resources or scheduled maintenance for these assets like they would for equipment or vehicles. Devco specializes in not only creating products to survive a long time in these environments, but cleaning and maintaining these assets to extend their life and make sure they are doing the job they are supposed to do, provide information. Devco supplies remotely programmable and trackable electronic signage. 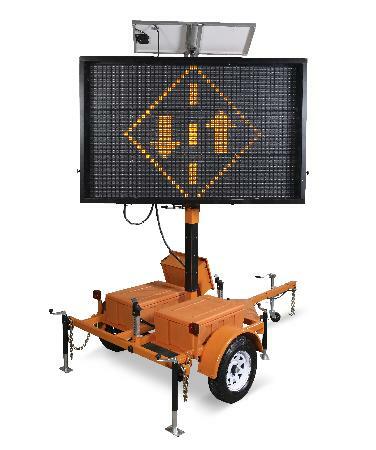 Similar to modern methods of vehicle fleet management, these new message boards and speed monitoring signage are solar powered, mobile and can be worked with from anywhere you have access to a computer. For Customers that have a few signs of this type, we would typically train them on the usage of the technology and provide remote troubleshooting and support, but for Customers that have dozens of assets like this, Devco can provide a management program where we are monitoring, programming and scheduling moves, messages and monitoring overall asset health. 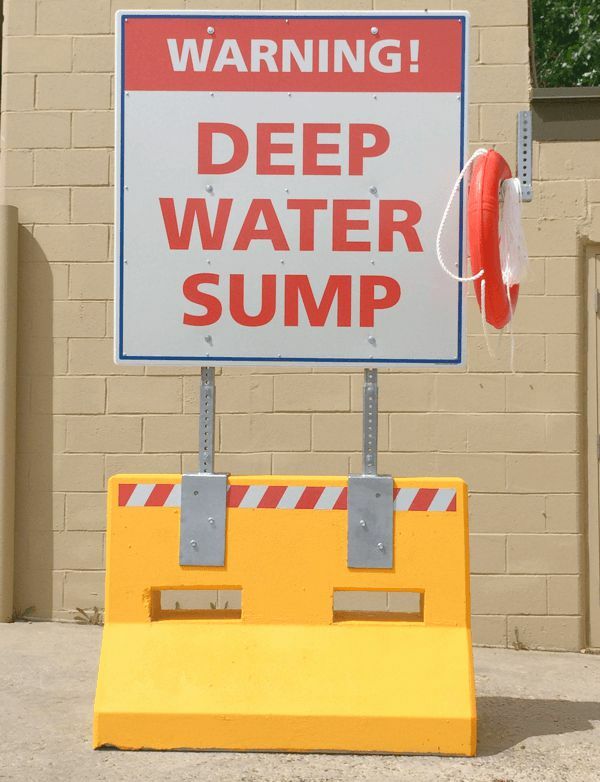 These types of signs are usually the most expensive signs types on a job site and should be treated as such. We want our Customers to maximize any investment with us. Devco’s success was built under a single premise: We do what our Customers need. While we have many standard products that we supply, a large percentage of our work is for a unique requirement. We’ve built custom electronic signage, solar based solutions, storage for worker PPE, safety training boards, communications centers, and much more. Please check out shopdevco.com to view some of the projects that we have done. We love our Customer’s challenges and coming up with a unique solution for them. At the end of the day, our goal is to have our Customer want to talk to us first when they have a unique need.